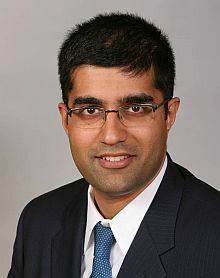 As a Cornell University undergraduate majoring in chemistry and Asian studies, Udai Tambar spent many weeks studying ethnic identity issues among Indians in New York City. "I also studied how arranged marriages worked in the Indian immigrant community," he said. But he was most interested in fellow young Indians, and how they were coping with pressures, especially the pressure to succeed. Soon after his graduation, he heard about an innovative organization called South Asian Youth Action--which was providing several after-school recreation, educational, and leadership programs for children of economically struggling South Asians in Queens, New York. The idea was to keep the students off the streets and harness their creative abilities. "I was amazed how much of a difference these activities were making," said Tambar, who last week was appointed the organization's executive director. He will oversee a budget of $ 13 lakh and a staff of 40. There are at least 400 students from more than a dozen countries including India, Pakistan, Sri Lanka, Guyana and Trinidad involved in SAYA! 's programs. Tambar, who holds a master's in public administration from Princeton University's Woodrow Wilson School of Public and International Affairs, taught a course there on immigrant youth for a semester. He is assistant deputy commissioner for parent and community engagement at the New York City Human Resources Administration. He manages child support programs that help low-income fathers get more involved in their children. He brings to his new full-time job not only his SAYA! experience but also several years of public work. Tambar, 34, is among a few dozen Indian-Americans graduates of prestigious universities who have spurned private firms to work full time for organizations empowering immigrants and their children. Among them is Deepa Iyer of South Asian Americans Leading Together. Tambiar's experience in New York City government includes managing the City Council's New American Youth Initiative, for the Deputy Chancellor of Management and Policy at the Board of Education, and serving as a senior policy advisor for the Workforce Development Division of the Department of Small Business Services. He is also the editor of the book Movement of Global Talent: The Impact of High Skill Labor Flows from India and China. SAYA! has become even more important today, given stories of youth gangs and destructive behavior in South Asian communities across the country. "I hope to work with the staff and volunteering in fulfilling this important mission to create meaningful opportunities for underserved youth," he said. These youth deserve a lot of attention and could be giving back to their communities a few years from now, he says. A son of physicians who left India to work in Scotland before migrating to America, Tambar was about 8 when he arrived here. He was quite at home with the mainstream communities at school and college but his mind never took off from issues confronting Indians and other South Asians.The reason he took up the SAYA! position, he says, was due to his conviction that the poverty issue among the South Asians had to be dealt with urgently. "Many people in our Indian-American community do not realize--or perhaps do not want to think about it--that there are hundreds of families in the New York tristate area who live in poverty," he said. "When discussing poverty--if at all--they would look at Pakistanis or Bangladeshis and say, 'they are the ones who are poor'. If we do not get young boys and girls to be career-oriented, teach them to excel not only in studies but also as leaders, we surely will see them without good jobs, without self esteem and ending up in poverty. Think of how bad the intergenerational poverty would look 30 or 40 years from now." SAYA! has received widespread acclaim and yet there is no similar South Asian organization in other states. "Surely, there are South Asian youth who face similar situations across the country," he said, including the West Coast and Chicago, "The SAYA! model can work there too. One reason why there aren't similar organisations could be [because] people elsewhere do not know enough of our work." One of his priorities then will be to let others know "of our best practices." "For what we have been doing for 12 years has implication outside the New York region," he added. Tambar is married to an Indian American who has background similar to his. She grew up in Queens and has a MSW degree. They have a 3-year-old son. "I take him to SAYA! with immense pride," Tambar said. Congratulate Rahman on his Grammy wins!